Seems the Trolls made it, qt-project.org is online ;) Grats. At the desktop summit, many contributors got a ExoPC from Intel, but the software on it was quite a disappointment. Meanwhile, there is an official release of Plasma Active that fills the gap. So I sat down and installed it on the ExoPC. It really works quite nice and smooth. Applications like Amarok and a browser make it usable to hear music and do some quick internet surfing. I documented the steps in order to get everything up and running. where <DEVICE> corresponds to the USB stick (in my case, this is sdc). When finished, plug the USB stick into the upper USB port of your ExoPC and press the power on button. Make sure to tap “BBS” immediately and choose the USB stick as boot device. After this, choose the first entry to start the live version of Plasma Active. Note: As of 2011-10-15, a installation with this live version is not possible (even though some documentation at some point or the splash screen suggest otherwise). copying files takes some time. After this, the system finally boots to proceed with the automatic configuration. The touch screen does not work out of the box. Hence, I restarted X from the console with /etc/init.d/xdm restart. After that, the external mouse and keyboard worked (ignore the fact that you might be greeted by 6 crashed akonadi windows). Once you have the internet up and running, proceed with 1.5 Installation on Balsam Professional or openSUSE. This updates your kernel to properly support the touchpad and replaces the default Plasma Desktop with Plasma Active. Kudos to the Plasma Active team and all involved contributors and supporters! Dennis MacAlistair Ritchie died at home this weekend. 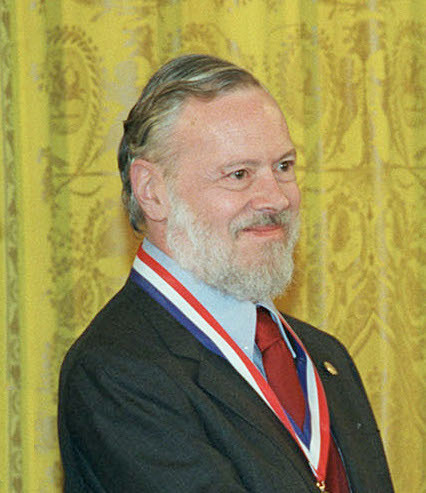 As the creator of the C programming language and one of the main developers of Unix, he impacted the life of me and other developers a lot. Even today, 30 years after their initial creation, many people work on Unix like systems (like Linux or Mac OS) and develop in (Objective) C(++). For me C was one of my starting languages for my real programming work and even today I analyze the whole day software written in C for embedded systems that control our modern world, be it the flight control of airplanes or engine control of cars. We all owe him a lot. He changed the world. Thanks for your great inventions! You won’t be forgotten.